Eurobricks member Simon Liu a.k.a Si-MOCs has shared this outstanding huge space vehicle called BT Runner in his flickr.com photo-stream. According to description The BT Runner is BlackTron's mobile operations center, capable of traveling large distances over really hilly terrain with it's 6x independent suspensions. I think black-yellow color-scheme looks always very cool and exciting. 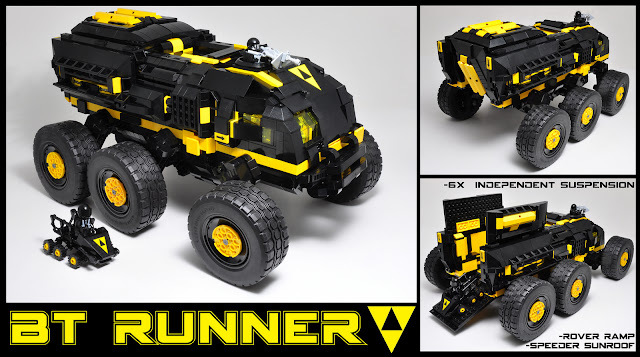 Also don't forget to check out another great Blacktron MOC from Simon, BT Raider speeder.